What to say about Neil deGrasse Tyson that hasn’t already been said? 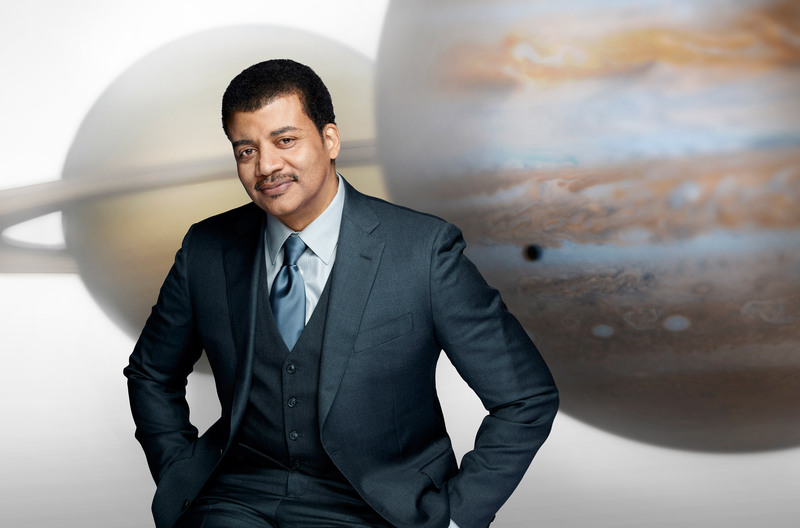 These are the facts: Neil is the director of the Hayden Planetarium at New York City’s American Museum of Natural History. He is an astrophysicist and New York Times bestselling author, former host of “NOVA ScienceNow,” and frequent guest on such shows as Comedy Central’s “The Daily Show” and “The Colbert Report,” “Real Time with Bill Maher” and “Jeopardy.” He is also, arguably, the country’s most recognized science educator and that most rare of specimens — a celebrity scientist. Those are the facts. But for me, Neil is so much more. He is also a dear friend and mentor. Neil has been a tremendous force in my adulthood, both a sounding board and a shaman to sea changes in my personal life and the philosophies that orient it. I first met Neil deGrasse Tyson a decade ago at a large space symposium. At the intimate dinners and large public events that followed, in which politicians and movie stars hung on his every word just like those who happened to recognize him on the street, I’ve had the honor of observing how a teacher of the highest caliber speaks into the lives of his students. The thing about Neil is, when you spend any amount of time with him, he makes you think you can do astrophysics. You can’t, of course. It is profoundly difficult stuff. But his explanations are so lucid and so clear that he reduces the most complex ideas to something shockingly intuitive. He does this not by dumbing the material down, but by elevating your aptitude; by transforming your perspective and the vantage point by which you come to the information. He transforms the profound into the practical and then back again. Neil is a vivacious but always shockingly humble science evangelist, who nearly always eschews political agendas for the simpler and perhaps even more effective search for that elusive eureka moment that will cut through the flotsam and jetsam of our modern brains and hit us right where it can most elevate. I had known for years that Neil and Ann Druyan, Sagan’s widow, and Steven Soter, the original writers and producers, had been trying to get “Cosmos” off the ground again. We spoke about it often. I was late into my 30s before I saw the original series for the first time. Growing up, Carl was a figure of mockery and buffoonery. “Cosmos” espoused ideas that challenged the worldview of my youth, and as a result, I had shunned it. If I could only have told my younger self that I would not only one day watch every episode repeatedly, but end it in exactly the same manner – jaw slack, tears running down my face, brain vibrating within my skull. The original “Cosmos: A Personal Voyage” was unique in the history of television. It was not just a documentary, though it was that. It was not just a science show, or a history show, or an educational show, though it was all of these things. 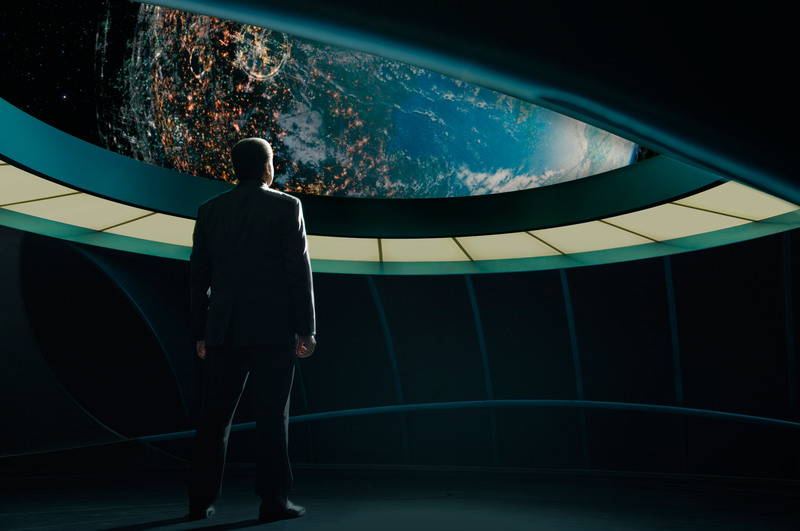 “Cosmos” didn’t merely tell you about science or even show you; it immersed you. It didn’t just teach; it transported. People of faith frequently describe profound spiritual moments. “Cosmos” helped reveal that religion does not have the monopoly on awe. The show was a transcendent experience, describing how the world came to be and how you and I fit within it. Understanding how things work and the part you play in that process is liberating. It is not hard to see why Neil long ago stepped into the shoes of the late Carl Sagan.We came out on the other side, unfathomably insignificant, and yet incomprehensibly large as we recognized that the vast ocean in which we swam was something we could decipher and understand. And it was beautiful beyond words. The scientific perspective, we came to realize, did not limit awe, it unleashed it. We truly are, to use just one of the show’s many famous lines, a way for the cosmos to know itself. And yet, for all of its beauty and rapture, “Cosmos” was also uncompromising, taking aim at pseudoscience, mythology and irrationality of any stripe. This new “Cosmos,” three decades on, is the unmistakable progeny of the first, and continues that all-important legacy. There has never been a more critical time for “Cosmos.” Even more so than when it first aired, our society is one that is intrinsically and fundamentally built on the discoveries of science and the technological applications those discoveries generate. And yet, our age is one that is more suspicious and ignorant of that science than at any other time in our history. Conservatives rail against evolution and climate change. Liberals bemoan vaccines and GMOs. Meanwhile poll after poll reveals that millions of Americans see horoscopes as accurate guides on which to base their decisions, yet do not know that it is the Earth that rotates around the Sun and not vice-versa. “Cosmos: A SpaceTime Odyssey” is the antidote to such thinking. 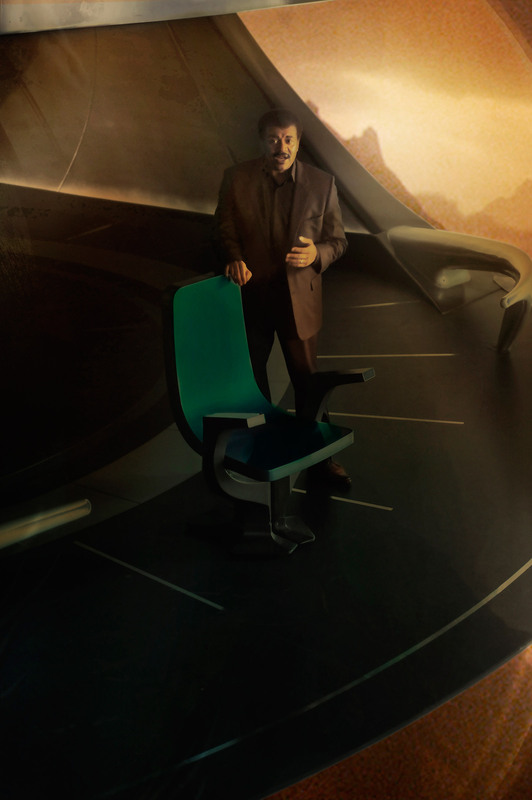 Aside from the original series, “Cosmos” is like nothing you have ever seen on television before. It is as if a Hollywood blockbuster, born for the big screen, has been crammed into your television set. And why wouldn’t it be? When the show was first announced, artisans came out of the woodwork, begging for a chance to lend their talents to it. “Cosmos” is the result of film directors, producers, cinematographers, art directors, special effects artists and composers taking a respite from their movie careers to craft epic television because they believe in the message that strongly. Tyson reduces the most complex ideas to something shockingly intuitive. He does this not by dumbing the material down, but by elevating your aptitude; by transforming your perspective.But beyond all the razzle dazzle of Hollywood computer wizardry (those bemoaning the CGI-heavy trailers for the new show forget that the original “Cosmos” used groundbreaking special effects for its time), “Cosmos” would still fail if it did not have, at its core, a message worth telling and a messenger worth listening to. The message, delivered by the same scribes that penned the original, is as intoxicating and powerful as it ever was. And Neil deGrasse Tyson is a messenger for such a time as this – a teacher who understands that science is the best and most revelatory means we have for discerning the truth about you, the universe, and everything in between. Science is not a dogma, but rather a profound and profoundly moving tool by which hairless apes build towers of steel and glass into the sky, eradicate disease, extend lifespans, fly ourselves into deepest space, and penetrate the mysteries of our bodies and the universe. As the show’s Research Coordinator, it was my job, among other things, to try and help bridge the gap between the deep and sometimes inscrutable scripts and the various vendors who would bring them to life. In short, I got paid to come to work each day and study the universe; to sit down with the show’s scientific advisors and learn everything I could about black holes, planetary accretion disks, evolution, and DNA, and pass that incandescent information on to others so that they might render visual effects and animated segments that were both thrilling to watch and as factual as possible. I hope I did well. I had a good teacher in Neil. It is an education that I sincerely hope will continue for a great many years to come because I have so much more to learn. It is among the greatest honors of my life to have contributed, in my own measly way, to this incredible work of art and science, and to have partnered with Neil on what, I think we would both agree, is one of the proudest achievements of our lives. If “Cosmos” is the last great thing I do in this town, it will be enough. Please be sure to check out the rest of our “Cosmos” coverage, as well as share our content with your friends and family. Let’s make “Cosmos: A Spacetime Odyssey” a worldwide phenomena.